Remember that documentary crew that was running around Humboldt on and off through the spring and summer? Well, the finished project airs Sunday night at 7 p.m. on the Fusion Network, which is a real network that I looked up (channel 342 if you've got DIRECTV). 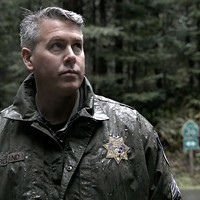 The crew and its producer talked to Journal staff during their filming and, after casting around for a central narrative among the threads of weed, missing persons and homelessness, the team evidently settled on the story of Garret Rodriguez, a San Diego man who went missing and was later found dead in Southern Humboldt. 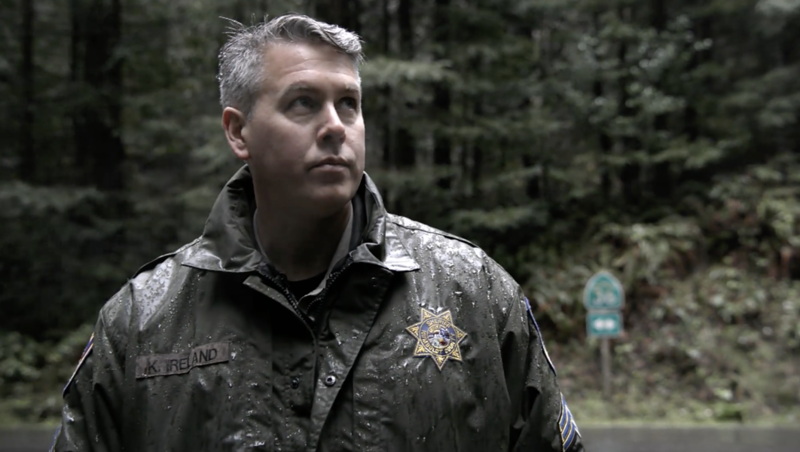 The preview for Murder Mountain: Welcome to Humboldt County on Fusion TV's Facebook page is a dizzying series of cuts between foggy roads, grainy reenactments, masked men with rifles on ATVs, pot farms and police, all set against an ominous soundtrack. The post offers the tagline, "Welcome to Murder Mountain, a secretive and surreal corner of America with a deadly history." Not sensational at all. See the video below. In a mass email thanking participants, Team Lightbox said, "The show that airs this Sunday is a true testament to the great people of Humboldt and what can be accomplished when everyone comes together." The email went on to describe the series: "Murder Mountain is the story of Garret Rodriguez, who left home in San Diego to seek his fortune in the marijuana fields of Humboldt County, California. Within a year he vanished, touching off a series of bloody events that still haunt local residents to this day. Set against the backdrop of marijuana legalization, Humboldt’s outlaws are now speaking out for the first time about Garret’s fate and the group of vigilantes who brought him home." Former Journal reporter Linda Stansberry, who agreed to be interviewed for the docuseries but declined a request to investigate on its producers' behalf, says that producer Josh Zeman assured her the project was not aiming for "tabloid-style exploitation." But the preview has her eyebrow up. She's hoping the series will be more "nuanced and revealing" than the lurid preview. "The production crew that I worked with while they were here," she says, "was very nice and professional."